Great News: AMEX Small Business Saturday Is Back! For the past few years, AMEX has given folks a statement credit ranging from $10 to $25 when they shop at small businesses on the Saturday after Thanksgiving. And this year it’s back! 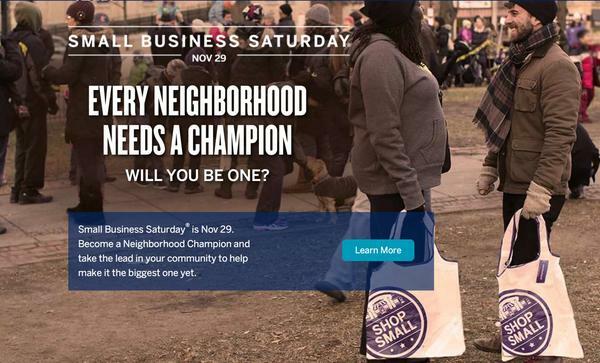 AMEX Small Business Saturday Is on November 29, 2014! 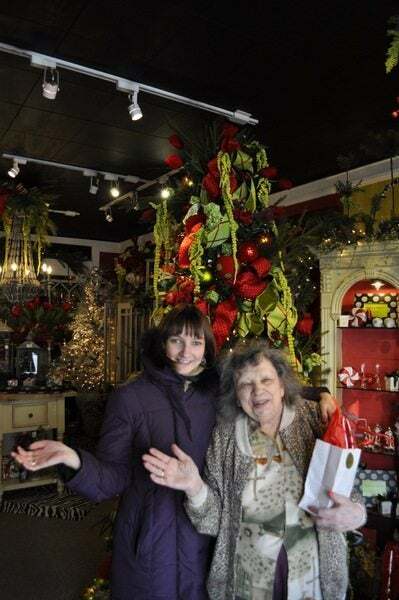 Emily’s grandmother went shopping with us for AMEX Small Business Saturday a few years ago. 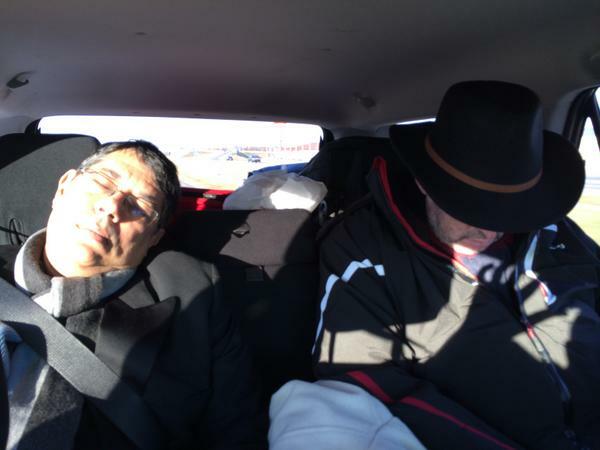 And our dads were tuckered out after last years’ AMEX Small Business Saturday shopping extravaganza. In previous years, AMEX would give folks a $25 statement credit for spending $25 or more at a small business. But last year it was changed to a $10 statement credit when you spent $10 or more. The savings can really add up when you have multiple AMEX credit cards! The amount of the statement credit for this year has NOT been announced and registration is NOT open yet. But I’ll keep you updated! AMEX Small Business Saturday is coming back on November 29, 2014. This is a great way to get in some free holiday shopping. But it’s too early to register and we still don’t know how much cash back will be offered. So stay tuned! So basically I’m trying to decide if we should add 2 authorized users to each our cards or if we don’t need to go through that and instead can use the primary card 3x that day. @Ryan – I believe it has to be additional cards to get the credit. I was wondering if you’ve looked into the Small business 2014 yet. I was confused, do you still need separate authorized users (2 + the primary card holder) or can you put all $10 credits on the primary card this year? How does the Small Business Saturday Card Member Offer work for Card Members? i.Register any eligible American Express Card during the registration period. Registration is limited. Registration opens at 12:00 A.M. MST (Mountain Standard Time) on Nov 16, 2014, and continues until 11:59 P.M. MST on Nov 29, 2014, unless the registration limit is reached sooner. Visit ShopSmall.com for information on how to register. ii.Use the registered Card to spend $10 or more on Nov 29 in a single, in-store transaction at a qualifying small business shown on the Shop Small Map located on ShopSmall.com. iii.Get a $10 statement credit for each qualifying transaction within 90 days after Nov 29.
iv.Complete step ii. up to 3 times, for a total of up to $30 in statement credits. @ noko – I don’t believe there is a fee when you pay taxes with the card. I want to use my Chase Ink Bold card to pay my income taxes due(2013) to reach my minimum payment. I know there is some fee I have to pay for the payment company. Does Chase also charge me for this transaction like the cash advance fee type of charge? Also, should I use my Barclay arrival card since they will give me two points for every dollar? Please let me know.